Quick overview Leonardo da Vinci lived an itinerant life. Throughout his career - from its beginnings in the creative maelstrom of fifteenth-century Florence to his role as genius in residence at the court of the king of France - Leonardo created a kind of private universe for himself and his work. Leonardo da Vinci lived an itinerant life. Throughout his career - from its beginnings in the creative maelstrom of fifteenth-century Florence to his role as genius in residence at the court of the king of France - Leonardo created a kind of private universe for himself and his work. 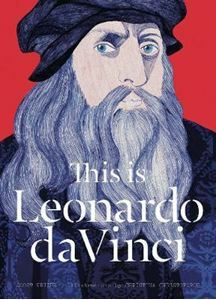 Leonardo also spent a great deal of time away from his easel, pursuing his interest in engineering, natural science, sculpture, poetry, fables, music and anatomy. In the time that another artist would finish a series of paintings, he would work on one. Sometimes a painting would take decades, accompanying him on his travels as he worked on other commissions. Leonardo's private world was both vibrant and active. It sometimes did and at other times did not interact with the wider world. But what emerged from it has established Leonardo as the definition of the Renaissance Man.